This is the author’s second book on regression therapy and it focuses on past life healing. 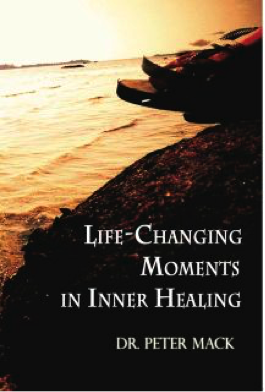 The book contains the regression stories of four patients who unexpectedly experienced healing of a dramatic nature. To take the mystique out of the healing process, the book provides details of the regression technique and the therapeutic dialogue of each regression procedure. The first patient presented with unexplained visions of an unidentified lady, disturbing dreams and phobia of water. The second patient was faced with serious problems of procrastination and anger management since childhood. The third patient had problems of memory loss, and fear of success and of public speaking. The fourth patient was afflicted with a snake phobia. All four patients went through transformational healing after regression therapy. In the first story, the patient who, born with a hole-in-the-heart was regressed back to an earlier life in Singapore in which he was a hawker in Duxton Road, Chinatown during the Japanese Occupation in the 1940’s. He recalled the fateful scene of his fiancé being abducted and raped by the Japanese soldiers. Thereafter he joined the jungle guerrilla to fight the Japanese troops in the hope of rescuing her. Unfortunately he was betrayed, captured, imprisoned and tortured by the Japanese soldiers. He was sentenced to death, sent to the beach at Punggol Point where he was shot in the heart. Reliving that past life was the start of his healing journey. In the second story, the patient regressed back to several past lives including being a native South American Indian going for a vision quest, a beggar in Imperial China waiting for things to happen, and a village boy growing up in a Polynesian island. The past lives helped him to understand the source of his symptoms of procrastination and anger. In the third story, the patient was connected back to a past life in Russia as the daughter of a politician who lost her husband at war, and as a Romania warrior who was physically and mentally tortured. In the fourth story, the patient, a schoolboy was found by his fellow classmates to have a snake phobia when he was screaming at the sight of a paper drawing of a snake. While undergoing regression therapy, he drifted back to a past life in which he was swallowed up by a python. He experienced immediate improvement upon emerging from that past life.